Autonet Plus Insurance is dedicated to finding you the right insurance product at an affordable price. We work alongside some of the biggest names within the insurance industry, which means we don’t cut corners on quality or service and we include Motor Legal Expenses cover for your protection. With over 17 years’ experience we are confident we can find you a tailored insurance solution dedicated to suit your individual needs. Click here to visit our website for further information. Autonet Protect Insurance is designed exclusively for van drivers and offers a whole host of products and services. We aim to secure you our most competitive insurance premiums coupled with second to none customer service throughout the duration of your policy. In addition to van insurance, a policy with this brand will include Motor Legal Expenses cover for your protection and Guaranteed Hire Vehicle Insurance to get you back on the road following a claim. 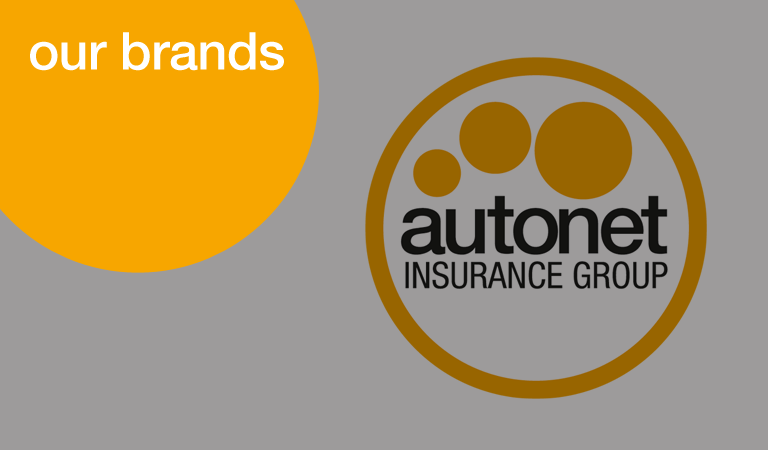 Autonet Protect Plus Insurance is a unique brand offering, that is able to boast an impressive one stop motoring solution for you. Not only will you benefit from a comprehensive insurance policy, your policy will also include: Motor Legal Expenses Insurance, Guaranteed Hire Vehicle Insurance (Van Insurance only), Windscreen Cover and Breakdown Cover with homestart in the UK. The Autonet Mobility brand is designed to provide comprehensive car insurance for disabled motorists. Finding car insurance for disabled drivers can sometimes be a difficult experience, especially if you have recently finished leasing a car through the Motability scheme or have an adapted vehicle. Here at Autonet Mobility we believe that finding car insurance for disabled drivers shouldn't be that difficult, and aim to offer a complete car insurance package at a competitive price. Autonet Mobility offer inclusive products including, AXA Breakdown cover with Homestart, Motor Legal Expenses Insurance and Windscreen Cover. Vans4Leisure was established with the sole purpose to offer competitive van insurance quotations for customers who wish to use their vehicles for leisure pursuits and social use. We have worked in the industry for some time which means our brand has built invaluable relationships with some of the leading van insurance companies, offering our customers competitive premiums for recreational van insurance use. Homenet was established to help all our customers find policies that suit their home insurance needs. We have a wide range of options to choose from as well as a comprehensive panel of insurers. Customers can pick from various policy types including contents insurance to buildings insurance. We are confident that we can find you a tailored home insurance policy at a competitive price. Autonet Law boasts a team of personal injury solicitors who are ready to provide expert assistance to clients who have purchased Motor Legal Expenses Cover from Autonet Insurance in addition to their policy and have been injured in road traffic accidents. At the forefront of every case our client’s well-being is our number one priority. Autonet Insurance is a privately owned company, first established in 1998 in Stoke-on-Trent; this was the opening chapter in what has become a very successful insurance story. We have now grown to become the UK's largest independent van insurance broker with a turnover in excess of £130 million and proudly own all of the above brands. Click here to visit our about us page for more information.